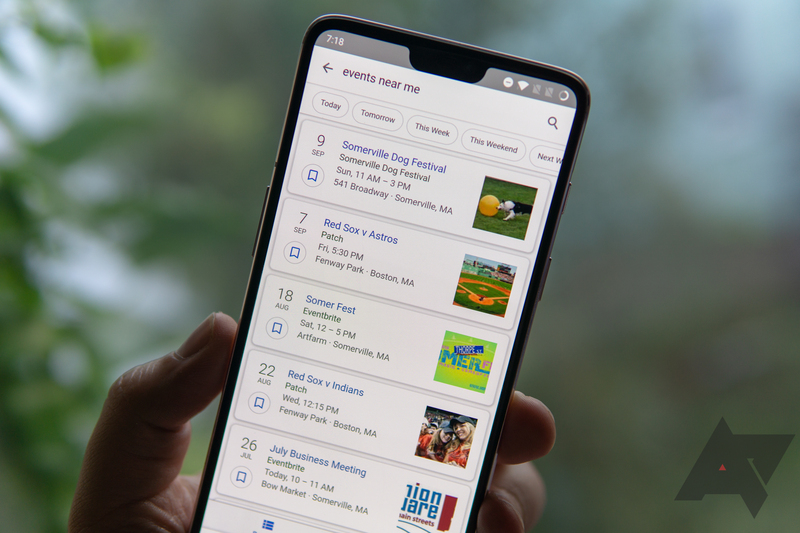 Last year Google implemented a new card interface for event-related searches, giving you a straightforward overview of the many ways to fill your free time locally. 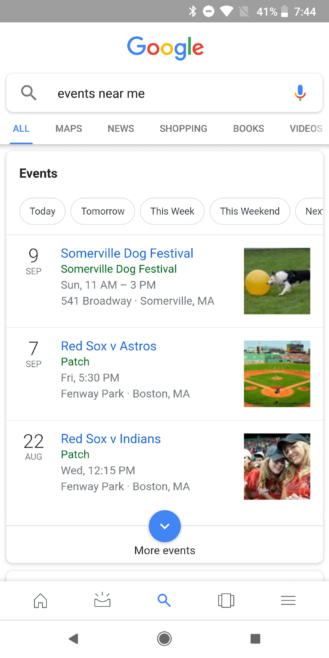 Today Google has announced that it is adding a few more features to Search that make finding events even easier, showing more information like time, location, and ticketing, as well as an entirely new discovery mechanism for finding out about events you might like. Events have been a thing in several Google products, including Search and Maps, for a while. In fact, a lot of small improvements to how Google handles events have been slowly making their way into products. But these new tweaks in Search are likely to be much more apparent in the average person's life. Based on the information in the announcement, searches which trigger the new event interface will show information like time, location, and ticketing providers in a convenient and easily parsed format. Links to further purchase tickets for events, save them to your own personal list, or share them with your friends are also included. An entirely new recommendation system for event discovery is also included in the new "For You" tab that also appears, providing a personalized list of things Google thinks you might enjoy checking out—presumably based on information or preferences associated with your account. Search UI for events (left), "More events" screen (right). So far as I can tell, there have been at least three slightly different versions of this interface over the last year. Initially, taping the "More events" arrow merely took you to a single-tab list with a timeline overview, as shown in the GIF in our original coverage. Some time between now and then, Google rolled out a two-tab interface, but tapping on a card still took you through to the event's site, rather than another page in Search with additional information. (Note: This second interface is all any of my devices currently have.) Based on the announcement, a third interface with the new event discovery tab and a second screen when selecting events is due to land soon. The new feature hasn't fully landed on any of my devices just yet—Google does say in the announcement that it should be arriving over the next few days—so I can't tell you how it looks or behaves in person. A help article over on Google's site was recently updated with the simple instructions on how to use the new features, though, if you'd like a preemptive overview. Site developers should also take note that Google has provided instructions to make sure their events can be included in this new format via Search, with a set of technical guidelines for structured data to ensure information is correctly parsed for the event's inclusion.